Still, all the nutritional benefits of sweet potatoes are no excuse to have sweet potatoes fries any chance you have. “All potatoes are nutrient-dense and healthy for you.”. 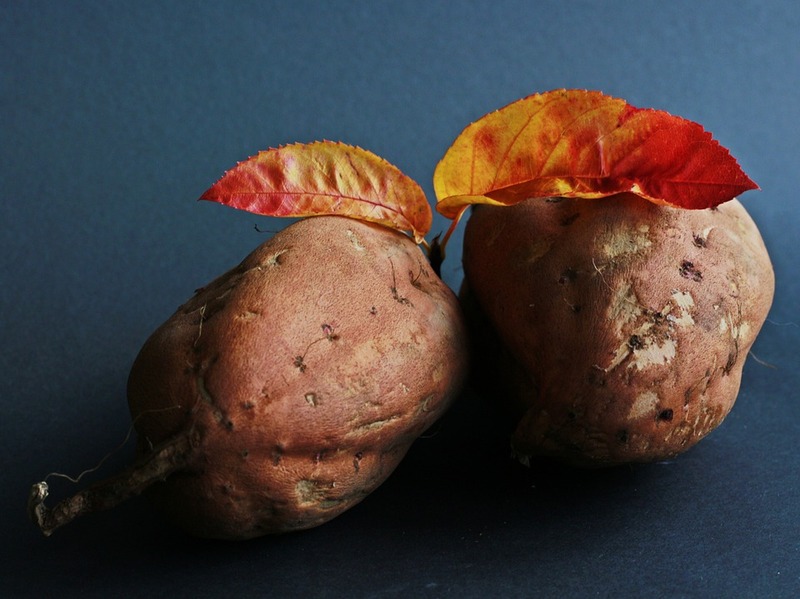 But sweet potatoes, the yellow, orange and purple varieties of the root vegetable are usually lower in carbohydrates and calories than the average spud. Sweet potatoes are also higher in vitamin A. Sweet potatoes are also rich in antioxidants that boost your immunity and help you maintain healthy vision and skin. According to the USDA, one sweet potato provides more than 100% of the recommended daily dose of vitamin A. Also, sweet potatoes are rich in vitamin B6 and vitamin C which is important for our nervous system health and brain. They are also a good source of magnesium and potassium which will improve heart health by helping in the regulation of blood pressure. Only one sweet potato has approximately four grams of plant-based fiber which will help you maintain your weight and lower risk of chronic diseases such as high cholesterol and type 2 diabetes. You should definitely include sweet potatoes in your diet, but keep in mind that frying them can kill all the good stuff. Make sure you use olive oil when cooking your favorite sweet potatoes. Mung beans have a good nutritional balance with plenty of minerals and vitamins. Another veggie that should be included in your diet more than usual is mung beans which have a good nutritional balance with plenty of minerals and vitamins. Early research suggests that beans have a variety of health benefits. Additionally, healthy mung beans are easy to prepare and they can be added to a variety of dishes. Mung beans are a type of pulse, which means they are an edible seed of the legume plant family. Same as other pulses, mung beans are nutritionally balanced, containing minerals, vitamins, and enzymes which make them an excellent and necessary part of our healthy diet. According to a review from 2014, evidence suggests that mung beans have many health benefits, including antioxidant effects, antimicrobial and antifungal activity, anti-inflammatory activity, preventing diabetes and cancer. Antifungal activity in mung beans is proven especially for a type of stomach ulcers. They can also improve the symptoms of inflammatory conditions such as allergies. Also, many studies in rats suggest that mung beans can help with lowering blood glucose levels and lowering blood pressure. Test tube studies suggest that a certain compound in mung beans can potentially have antitumor properties. Furthermore, mung beans are a good source of vitamin B which is necessary for a range of body functions. It is also crucial for maintaining the brain’s health. However, researchers have to conduct further studies on humans to confirm the health benefits of mung beans. Sugar Detox Effects and How to Avoid Them? Cutting on the intake of processed sugar is not an easy task but it is another healthy decision you can make for yourself at the beginning of the new year. Sugar affects the brain and can be as addictive a substance on the brain as nicotine, morphine, and cocaine. Often some of the effects of cutting sugar are anxiety, depression, changes in sleeping pattern, cravings and cognitive issues. These are mental symptoms, while physical symptoms can be dizziness, fatigue, and light-headedness. The best way to cut sugar is to cut it down slowly rather than going cold turkey. It is also important to add proteins to your diet to fight the feeling of being fatigued which can make you feel restless once you cut down sugar from your diet. You have to pay close attention to your diet once cutting sugar, include proteins and fiber to fight nausea and headache. Also, make sure you drink enough water especially at the beginning of your new diet without sugar. The stress level can be higher than usual when you have cravings, as sugar has a calming effect on stress hormones. Another thing you should do is exercise more than usual to fight the sugar detox effects since working out will fight off the stress.